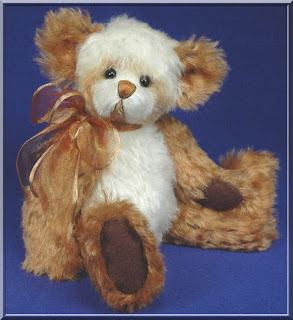 I'm also helping a friend sell some of her artist bears on eBay for her. 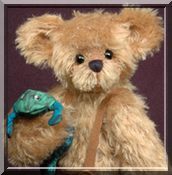 They are for sale under my other ebay ID that I use for our "household items" since these bears were not created by myself. You can find them here. 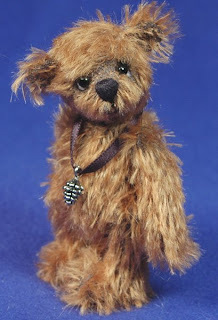 I've also managed to finish a new mini bear today. His name is Lil Spruce. He's a whopping 3 3/4" tall but can still stand up all by himself. You can find him on the Bears for Adoption Page. Today while I was grabbing a quick lunch, I read the "Diary of a Bear Artist" in my latest Teddy Bear Club International magazine. I love reading Andy's ramblings... he makes me laugh - both with him and at myself! Dodo's antics (his cat) are hilarious! Yes, I have helpers too, although they are canine! My newest helper is shown here... Sequoya. She's the chihuahua we adopted from Chihuahua Rescue and she keeps me laughing. She often likes to sit inside my sweatjacket while I am working. My hubby asked what I am going to do when it gets warm... I told him we'd figure that out when the time comes. Later today though, we have an appointment with a Fire and Safety company to give us an estimate on installing a fire/smoke detection and monitoring system that will call 911 for us automatically. You see, last Sunday our friends across the street had a horrible house fire. They are alright as they were not home - but they lost their beloved Scotty dog. He was an awesome dog.... I took care of him whenever they were out of town and brought him over to play with my Girls. Bob (hubby) even tried to give him mouth to mouth and CPR, but it was too late :( Scotty's family was only gone for 45 minutes! After this experience, we decided to do what we could for our Girls. We never even thought of it till last Sunday. Yep, it's been a while again. I'm a bit behind on some special order bears... and I feel guilty if I spend time on my blog when I need to be making bears. 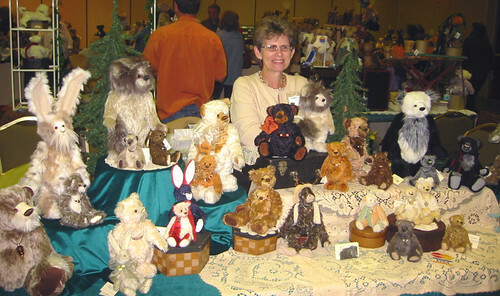 Last Saturday though was the ABC Teddy Bear Show in Schaumburg, IL (my back yard!) ABC has decided to cut down their Schaumburg shows to once a year instead of having a spring and fall show. I was not going to be in town this weekend so I didn't sign up for a table. Then my out of town plans changed so I certainly attended as a collector! As usual, I was too busy looking at all the bears and chatting with everyone to remember to take photos... until near the end of the show! I was able to get a few photos and put them into my Flickr account. Just click on that show photo below to go to the rest of the pictures. First I apologize... if you have tried to email me, I may or may not have received your email on time. I've been trying to catch up with some emails that I should have received days ago. I think the problem is solved though. I'm looking forward to a small break. I'm going to leave my husband here to hold down the fort -- and going to visit my Mom in Kentucky for a few days!! I've had enough of this snow, let me tell ya! Although it's gone now... today there were a few flakes trying to come down again! 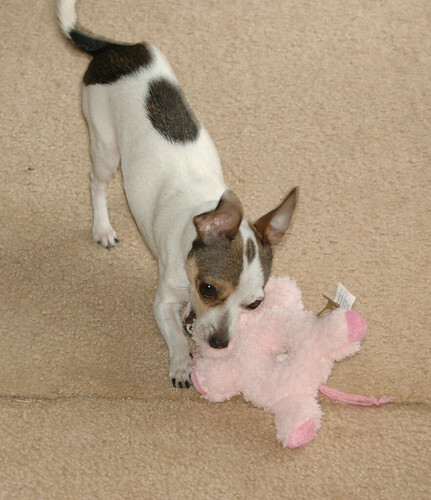 I can't wait to see her - and to introduce her to my new helper - Sequoya! Of course, I'll be bringing some bears down to work on. I can't stand to not have something for my hands to do. Have a great weekend if I don't get a chance to come back before then!